Call 1-800-Sew-More for ordering or information. 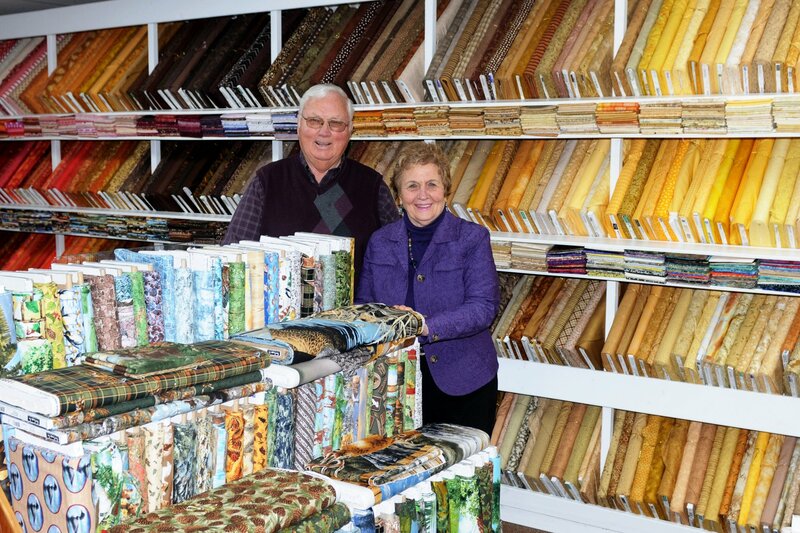 At the Crafty Corner Quilt and Sewing Shoppe we are known for having one of the largest selections of fabrics including batiks anywhere. many samples of Quilt Kits. 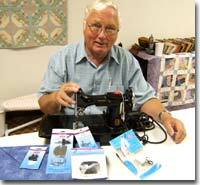 Ken loves his Featherweight sewing machines. In this picture, he is examining one of the machines he has for sale and some of the many Featherweight accessories that are available. The vintage Singer Featherweight sewing machines are known for their reliability and for the decades of steady service the Featherweight has provided. At a mere eleven pounds, quilters depend on the Featherweight as the ideal lightweight machine to take to class. Give Ken a call at 1-800-Sew-More for further information on how to find your own vintage Featherweight or for service on your trusted Featherweight. We provide you with secure, on line shopping. 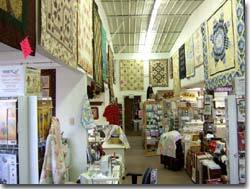 The Crafty Corner Quilt and Sewing Shoppe honors Visa, Mastercard, Discover, Pay Pal and all transactions are completely secure. If you prefer to give your credit card information by phone, you can use our shopping cart to place your order online. As you check out, use the ‘phone check-out option’, and then phone us with your credit card information to process your order. Policies and shipping information are supplied during check-out. If you prefer to do your shopping by phone just call toll free 1-800-Sew-More.